The https://soundcloud.com/klearamsterdam family went to Paris last weekend for a special night at Nouveau Casino and a guest show at the famous Rinse France studio in Paris. This is the result. 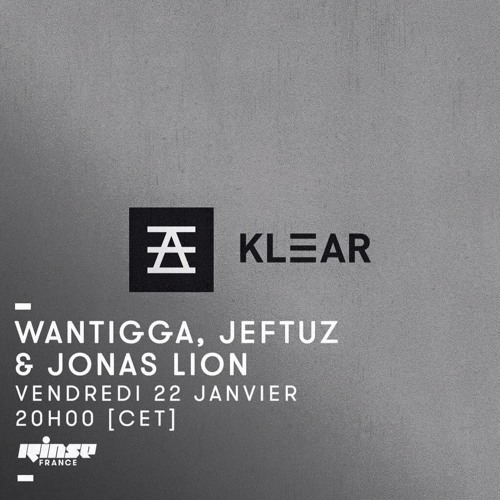 (fire emoji) fire tracks, selected by: (fire emoji) https://soundcloud.com/wantigga https://soundcloud.com/jeftuz (42m in) https://soundcloud.com/jonas-lion (1h13m in) It should have been 2 hours long, but we rushed in straight from a delayed Thalys :) We hope you enjoy! @jonas-lion: you're, simply put, awesome!